All are invited to attend the annual Diocese Lenten Retreat & Youth Day on Saturday, March 30, 2019, sponsored by the Antiochian Women of the Diocese of Worcester & New England. 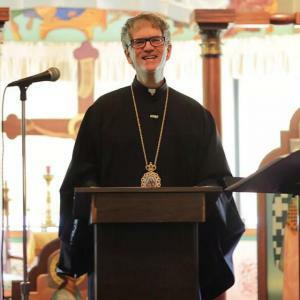 We are very excited to welcome back His Grace Bishop Anthony from the Diocese of Toledo & the Midwest as the Keynote Speaker for 2019 who will be speaking on the topic "Seeing the Target, but Missing the Mark: Sin, Sanity, & Sanctity." Adults are $20, teens and children are free. Activities will be offered for children ages 2.9-12 during the times that Bishop Anthony is speaking to the adults and teens. Please register in advance either using the attached form no later than March 15, 2019, or register online no later than March 23, 2019.